 The Investments & Wealth Institute is a professional association, advanced education provider, and standards body for financial advisors, investment consultants, and wealth managers who embrace excellence and ethics. Through our events, continuing education courses, and acclaimed certifications—Certified Investment Management Analyst® (CIMA®), Certified Private Wealth Advisor® (CPWA®), and Retirement Management Advisor® (RMA®)—we deliver rigorous, highly practical education. And because we also understand the challenges advisors face day-to-day, we give them the practical tools and strategies they can use to put that hard-earned knowledge to work in the real world, to add measurable value to their personal practices and firms, and make a real difference for their investment and wealth management clients. Succeeding as an advisor today means demonstrating value – both what clients get for their money and why relationships matter. The Institute’s professional designations and educational programs help advisors deliver on that value every day. Our educational programs and certifications stand out for their combination of sophisticated technical knowledge and practical application. The Institute offers Ivy League quality education with real-world application and is an organization of advisors and for advisors. What unites all of the Institute’s educational offerings is our emphasis on the highest quality. Our education is immersive, giving advisors the kind of deep dive that opens eyes and turns knowledge into expertise. Presenters for our certification programs and educational events are award-winning academics, industry thought leaders and strategists, and leading practitioners. Our Ivy League quality instruction delivers practical results. Online, on-demand offerings help you maintain your edge.